Somewhere on the shelves or under the piles is my MOJO which has been hiding. 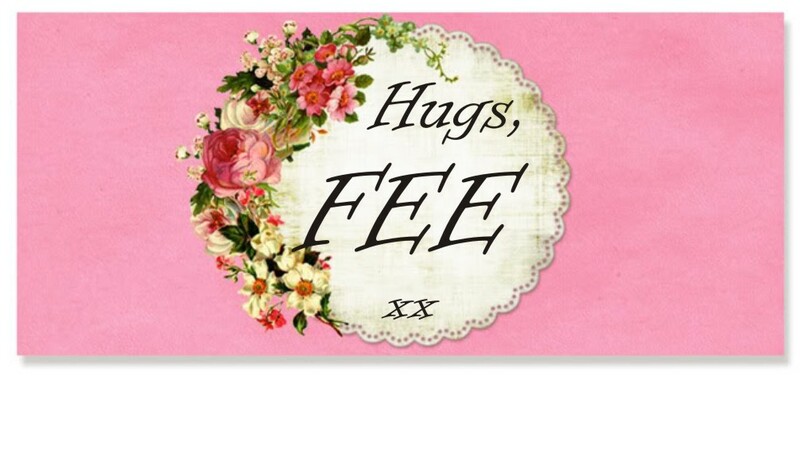 Awww Fee ... don't fret darling one ... I know your mojo will come back soon :o). If it makes you feel any better though, my sewing room makes yours look so tidy right now he he he. If you could see into my room you might feel better. Not only is there sewing "stuff" strewn all over the place, I have files, folders and paperwork in there as well. I know where my mojo is I just can't reach it! Enjoy the break, it will surely be over soon. Maybe our Mojo's are off holidaying somewhere as mine is missing too! Also under a whole heap of mess, I'm wondering if I should start a new trend in carpeting - the 'covered-in-tiny-pieces-of-thread-as-mojo-has-gone-and-I-can't-be-bothered-hoovering' look. Hope you find yours soon!!! Hi Fee, I reckon there is a mojo conspiracy going on. Mine took my get up and go and got up and went. Maybe it's having a lovely mid year break with yours and a few others. Hang in there I'm sure we will all be reunited soon. 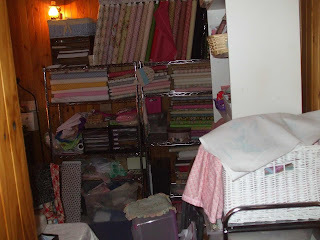 Maybe your mojo is under my bed in my sewing room....yes thats right, we're sleeping in my sewing room whilst renovating and it's driving me crazy!! If I showed pics of my lounge room & bedroom it would make you feel heaps better....LOL. Fee you make me giggle. This is simply normal some days for all of us...and then we pick up and go again. Fiona, your sewing room really doesn't look that bad I know for sure mine has looked worst in the past .As for that Mojo , it seems to escape all of us at times and you worked really hard at your show so it is understandable you need a break . 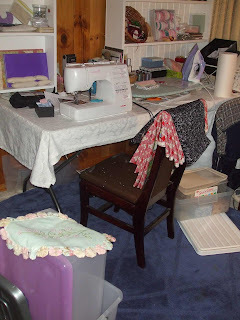 I hate to admit that my sewing room looks awful at the moment. Unfortunately though, my sewing machine doesn't want to sew right now, so I'm going to have to spend my usual sewing time cleaning. Oh I thought all sewing rooms looked like that Fee. The only time my is tidied is when I go on holidays. We all need a rest sometimes,even from the things we love to do.Your Mojo will return soon. If that's your messy time...I wish mine looked that good! 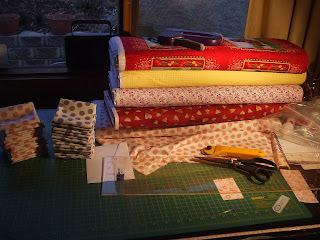 I'm chuckling here as if you look back in my blog to sometime earlier this year that could be my room - just substitute stitching stuff for quilting (my fabric is downstairs, lol!) so was not horrified at all, quite normal really! Here's to mojo returining, it'll be somewhere in that cupboard, for sure! I think your mojo is under there somewhere! My Mojo gets buried occassionally but it comes out when it's ready! PS Did I tell you we're retreating? 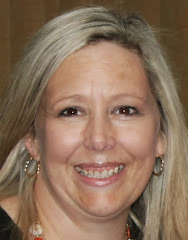 Hey sweets - it really doesn't look that bad - when I lose my mojo under piles, I can't find my bed either. Put on a good movie and have some fun while you tidy, ok? Oh Yes my Mojo is hiding with yours has been for weeks now or even months....your retail therapy is just just beautiful love the delicate colours and in fact love every thing about it .....was almost tempted with some of the others myself..but car reg and insurance, and house insurance due this month so just have to hang off but will deffinately be going back to her website. Your beaded sissor fobs were great also. Hang in there and if you find my mojo send it home with a flea in it's ear. 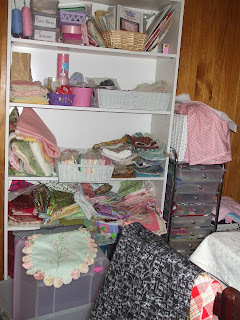 At some time every quilters sewing area looks like yours, so dont worry about that, but please look every where for your mojo we need to see your work to inspire us. 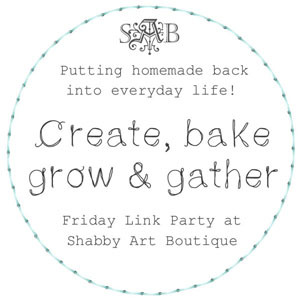 I wish my craft room was as messy as yours...no really its sooo messy something moved and set off the alarm LOL.. my husband had to come home from work as I was at the craft fair...he was not impressed. hi fee, you do realise dont you,,that you can give yourself some time off now and then...maybe mojo just resting? 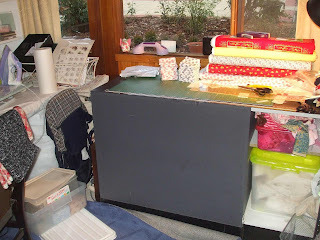 lol..
Fiona, Your sewing room looks GOOD as compared to mine right now. Recently we have sold my parents home AND some things from home have ended up in MY ROOM. I am not ready yet to go through the things again & place them where they will live for awhile. Soo my dear take a breath & take a moment for YOU. Cheers: Dianne. Thanks for letting us know, Fee - I see all these pics of beautiful, organized stashes and my little heart sinks down. 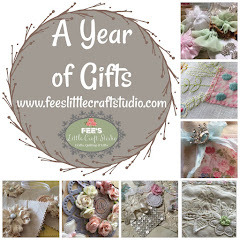 Today I want to tidy my stitching corner - maybe my mojo is there, lol! Believe me, it's not even close to the mess in mine! Hope your mojo is back. Thanks for sharing pics of your sewing room. It makes the rest of us feel okay with our own....we probably just aren't as brave as you are to share them.